Hello everyone! In this episode of It’s all about Her, you meet Roxanne Townshend, creator of SAVOUR magazine. SAVOUR magazine is a local magazine that thrives to connect their readers and local businesses thru person stories and compelling images. I had a great time talking with Roxanne and I hope you enjoy the conversation! Hello everyone! In this episode of It’s all about Her, you meet Alex and Liz, owners and cofounders of the Coven. The Coven is a space for those who identify with womanhood. It’s a space for work and play, and fills a gap addressed by no other business in the Twin Cities. They believe in the economic advancement and empowerment of women. Alex and Liz take there mission serious and still know how to have a lot of fun. I had a great time talking with them, I hope you enjoy the conversation! Hello Everyone, in this Episode of It’s all about Her podcast we review all of the interviewees of 2017. Hope you Enjoy the show. 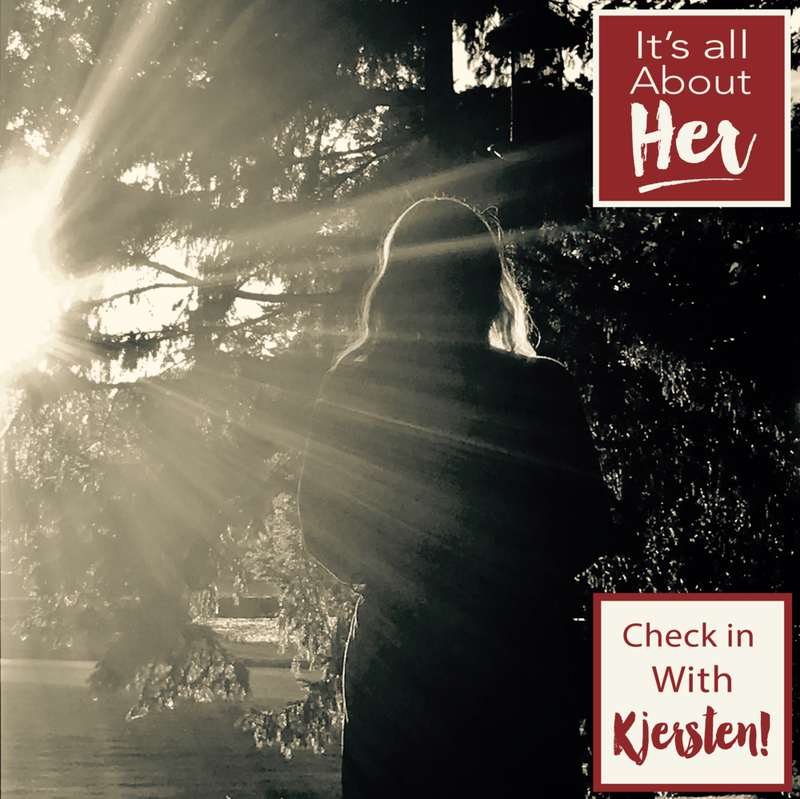 Hello Everyone, in this Episode of “Check in with Kjersten” I have a fun conversation with my wife, who is also my boss, and owner of Her Spirit Vodka, Kjersten Merila. As always, we get the latest update on Her Spirit Vodka and learn a little something about Kjersten. Hope you Enjoy the show! Hello everyone! 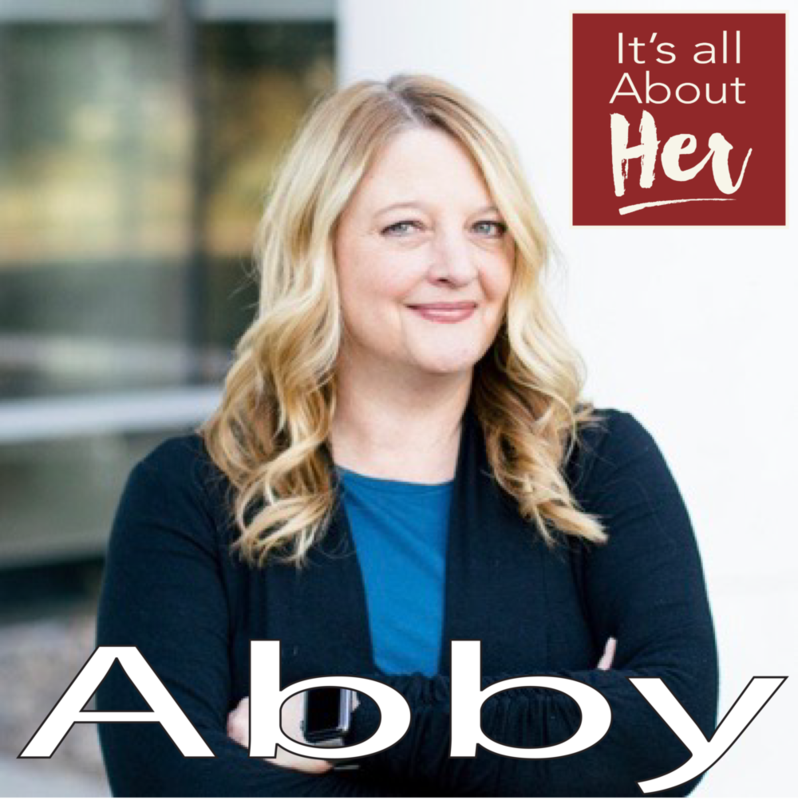 In this episode of It’s all about Her, you meet Abby Reddy, she is Co-Founder and CMO of Quotacy. Quotacy is an insurance company that provides boutique-style service through an easy online experience. I am not going lie, when I was preparing for this interview with the subject of life insurance I was preparing to be bored and I was anything but bored! I was truly impressed with her passion for insurance and their unique mission. I had a great time talking with Abby and I hope you enjoy the conversation! Hello everyone! In this episode of It’s all about Her, you meet Brianne Boettner, she is the owner and founder of Timber and Tulip. Timber and Tulip is where you go to find industrial modern furnishings that are custom-designed and hand-crafted, tailored to fit your space to a T. Brianne shares her journey from financial controller to her first entrepreneurial adventure as self-taught furniture designer and creator! I had a great time talking with Brianne and I hope you enjoy the conversation! Hello Everyone, special THANKSGIVING Episode of “Check in with Kjersten” I have a fun conversation with my wife, who is also my boss, and owner of Her Spirit Vodka, Kjersten Merila. We also have a special guest with us! Matt Hodges, Owner and Founder of Mill City Made, who is Kjersten’s cousin and godson. As always, we get the latest update on Her Spirit Vodka and learn a little something about Kjersten. Hope you Enjoy the show. Hello everyone! In this episode of It’s all about Her, you meet Heidi Mueller, she is the owner of Excelsior Candle Co. The Excelsior Candle Co. is where she creates her scented candles using the old world process that calls for patience and commitment. We also learn some other interesting facts about Heidi, she sleeps in a mattress she made herself, her dream is to own an Alpaca farm and much more. I had a great time talking with Heidi and I hope you enjoy the conversation! Hello everyone! In this episode of It’s all about Her, you meet Ashley Prentice, she is the owner of Minny Spoons & Co. That is the company she founded to create her delicious, nutritious nut butters. We learn about what inspired her to start her business, her Mother’s love for Disney and much more. I had a great time talking to Ashley and I hope you enjoy the conversation! Hello everyone! 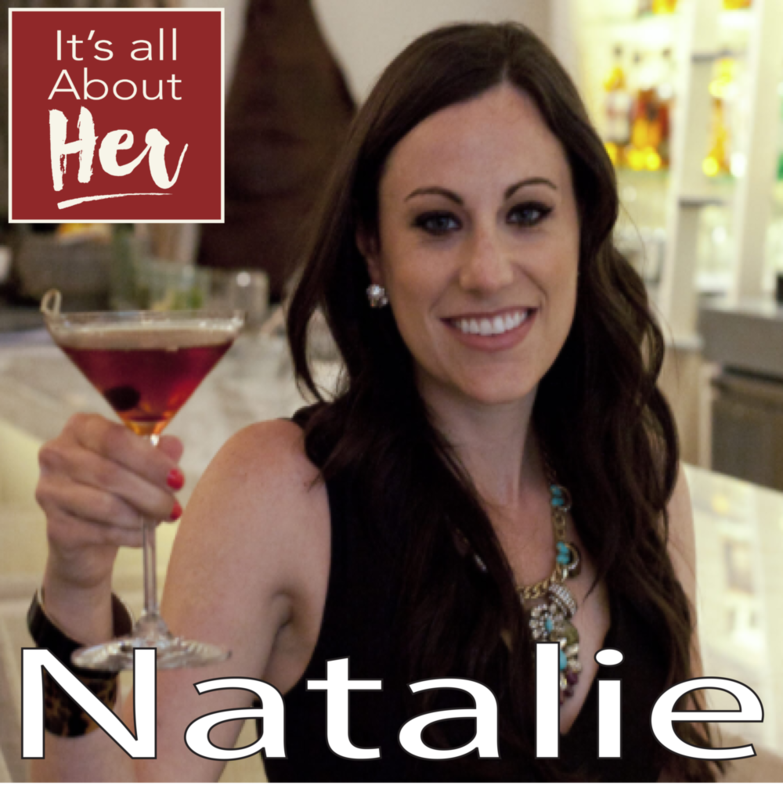 In this episode of It’s all about Her, you meet Natalie Migliarini, she is the owner and founder of Beautiful Booze. Beautiful Booze is a website where she shares her cocktail journey with you. In our conversation, Natalie tells us how she started this business out of adversity, and how much she appreciates and enjoys everyday! I had a great time talking to her and I hope you enjoy the conversation! Hello everyone! In this episode of It’s all about Her, you meet Jeanna Simonson, she is the owner of Fiercely Fetching. That is a website where you can read her blogs about fashion, food, travel, and fitness. She is a cancer survivor with a huge a passion for life and I learned a lot from Jeanna including all about DERMAPLANING! I had a great time talking to her and I hope you enjoy the conversation! Hello everyone! In this episode of It’s all about Her, you meet the Stennes Sisters, Erica and Shanna, owners of S. S. Baits Co. They create beautiful custom lures using traditional, woodworking lure craft with modern finishing techniques. They also share the fish stories that inspired their cool business! I had a great time taking to these fun sisters and I hope you enjoy the conversation!